IT could be your favourite sunset spot. 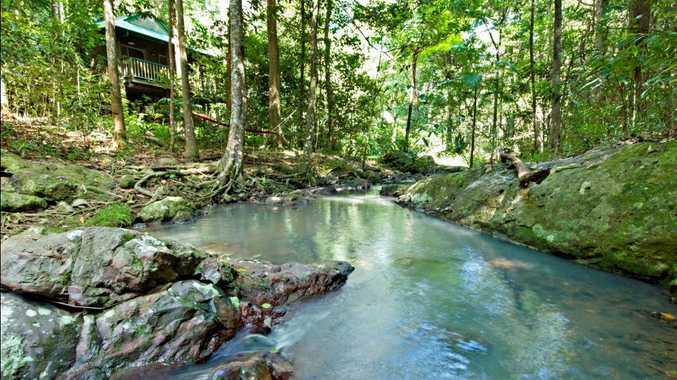 Maybe it's your hideaway for a camping weekend, the waterfall you hike to or the beach you chill out at. In what organisers hope will become the world's biggest Instameet, keen snappers are being asked to save the date October 4 to simultaneously share thousands of images of Queensland visitor experiences using the #thisisqueensland tag. Queensland Instagrammers can capture their region's best tourism assets in this social media event which is designed to showcase Queensland to the world. Tourism Minister Jann Stuckey said Instagram was a powerful social media platform with more than 200 million monthly users worldwide. She said high-profile digital influencers would join everyday Queenslanders and tourism operators to send a collective nod to the state. "The Queensland Instameet will involve people coming together to connect, explore and collectively sell our tourism assets to the world by posting authentic and compelling photos to inspire others to visit," she said. "We will showcase our world class visitor experiences from watching the sunset on Hamilton Island's One Tree Hill through to stargazing in the Outback or snorkelling on the Great Barrier Reef. "TEQ will work with tourism operators and regional tourism organisations in the lead up to the event, to host a series of workshops explaining how to use Instagram and how to host an Instameet." Ms Stuckey said the Instagram event was about developing the world's best digital tourism systems and integrating technological innovations. She said Tourism and Events Queensland used #Room753 earlier this year to inspire 22 high-profile digital influencers from 13 countries to spread the word about Queensland in line with their passions - from surfing safaris to culinary experiences and romantic getaways to adrenalin-charged adventures. The digital influencers had a combined annual website audience of 22 million and social media reach of eight million. During the 22 week program, these bloggers, Instagrammers, photographers and videographers generated more than 54 blog posts, about 3000 tweets, 180 Facebook posts, 18 YouTube videos, almost 1000 Instagram posts and 137 Google+ posts. We want to start warming up to the main event on October 4. If you Instagram a photo of your favourite place and tag our account @onelocaltoanother, we could publish your photo in the paper in the lead up to the Instameet. Just how harmful are hashtags really?